If he were in the World Trade Organization, he'd probably enjoy Most Favored Nation status (... but what would we send in exchange?). And for his latest Carolina Performing Arts program, Leif Ove Andsnes delivered a veritable Grand Tour of Old Europe that would surely have made NATO proud, if not the entire UN. "Pictures Reframed," his November 2009 concert, was still eliciting raves among the cognoscenti, but there was much to admire throughout this latest Memorial Hall evening, and the nearly-full house contained oodles of super-quiet and attentive listeners. Particularly in mid-February, it's almost impossible to muster such a crowd. Aside from a cough or two, one could almost hear the folks next door breathing; it was so still in there! Andsnes brought other kinds of skills to Bartók's magnificent Suite, Op. 14 – what a treat it was to hear this in a live performance of such magnificence! – and in the first book of Debussy's Images, wherein those washes of notes made just the right impression (no pun intended). After the intermission were four nicely-contrasting waltzes (Op. 70/2, 1 & 3, and Op. 42) and the Third and First Ballades, interspersed with the Nocturne in B, Op.62/1. (A cell phone intruded ever so briefly at one point.) As hinted above, there was much to admire in these, particularly with regard to the dynamic compass Andsnes often (but not invariably) maintained. For the most part, he puts all the emotion he can summon directly into the music, which is an altogether good thing, particularly given the possible alternatives. There's not much to watch, so mostly we listened. We were richly rewarded. He smiled a bit as the applause rolled over him like gigantic Pacific Ocean waves: the crowd was loath to let him go. A Rachmaninoff Étude-tableau (Op. 33/2) and a Spanish Dance (No. 5) by Granados were the encores. The people left with smiles aplenty on their faces. Before all this, Andsnes had been heralded in remarks by Clara Yang, of the UNC Music Department. One wonders why, for he surely needed no introduction, and his artistry clearly speaks for itself. Miss this one? Fret not! 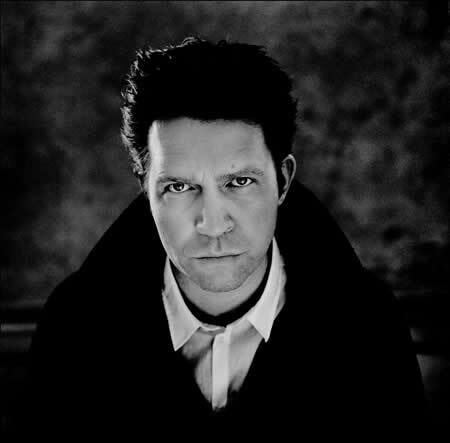 Go to http://www.npr.org/event/music/146886360/leif-ove-andsnes-at-carnegie-hall to hear the November 15 (New York) iteration of the program, including three encores. This is the sort of up-to-the-minute high-tech wizardry that is bound to prompt downstream impresarios to tear out their hair, but as long as ticket buyers don’t know in advance, what's the worry?